The sun finally begins to rise on an early December morning. Dancers start to line up, the sun glinting off their sparkling pompoms. Volunteers begin raising a massive inflatable cactus balloon to float it down Central Avenue. Recipient and donor families sift through green and blue posters to hold when they walk proudly to represent Donate Life and Done Vida Arizona in the Fiesta Bowl Parade. Among this crowd are donor parents Myra and Jesus Moreno. 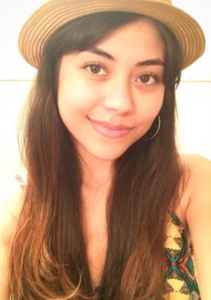 They lost their daughter, Mikaela “Paloma” Moreno, to addiction two years ago. They are here to honor her and celebrate her selfless gift of donation. Mikaela “Paloma” Moreno saved four lives through donation. A vivacious and creative young girl originally from Bisbee, Arizona, Paloma’s friends and family loved her. She once told her mother that if anything ever happened to her, she wanted to be an organ, tissue and cornea donor. Though Paloma’s death devastated her family, Myra and Jesus have found peace in knowing their daughter allowed four other people to continue living. Staff members reveal a poster to the Moreno family. Big letters reading “Our daughter gave life to others!” sit below a beautiful photo of 24-year-old Paloma. Myra is brought to tears, and she approaches the poster to lay a kiss on the photo of her daughter. Heart recipient Brett Wallick walks in the 2018 Fiesta Bowl Parade. The Moreno family is one of many families touched by donation that walk in the parade. 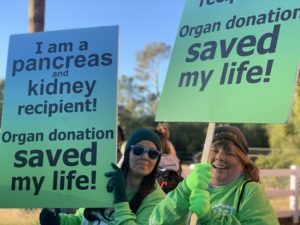 Each year, Donate Life Arizona invites those touched by donation to celebrate the lives of their loved ones. Over 50 organizations come together at the Fiesta Bowl Parade to make music, dance and celebrate the start of another year. Another family in the Donate Life group has experienced the other side of donation. At 16 years old, Brett Wallick received a heart transplant that gave him a chance to grow up. More than four years later, Brett says there is not a day that goes by where he doesn’t think about his donor. Brett and his family are grateful for the kindness that saved him and volunteer with Donate Life Arizona to encourage others to register to be donors. 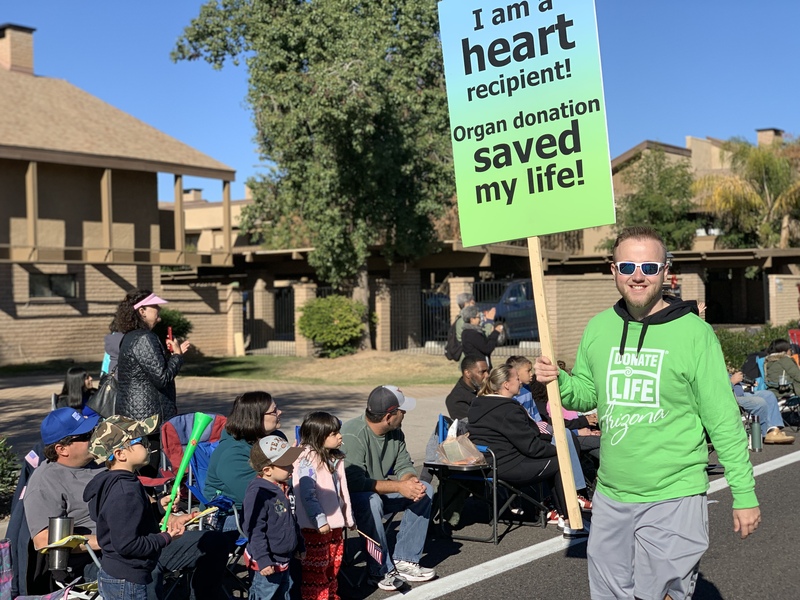 Brett walks down Central Avenue, holding a sign that says, “I am a heart recipient!” Several people in the crowd look in awe to see him smiling, laughing and high-fiving people with so much energy and enjoyment. Congratulations are shouted from all sides of the street. 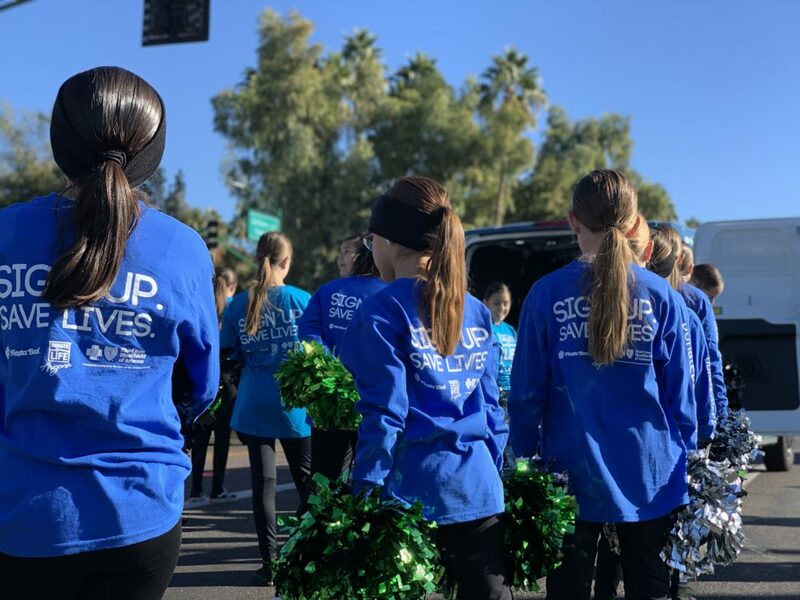 For Donate Life Arizona, the Fiesta Bowl Parade is a time to honor and celebrate those who gave life to others. But as you can see, it is also a time to demonstrate the impact that donation has on so many. The generosity of people like Paloma is the same generosity that saved the lives of people like Brett. Volunteers Jessica Drey (l) and Evelyn Strope (r) show their support for donation by walking in the parade. Be sure to get the Donor ❤ printed on your driver license or state ID! 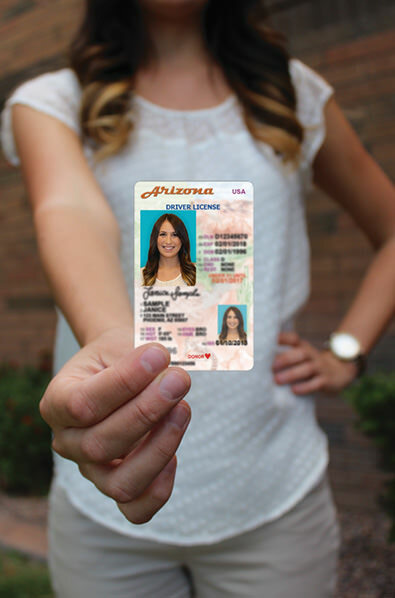 Visit your local ADOT MVD office and check the box to register as an organ, eye and tissue donor, or visit servicearizona.com.